Everyone knows that keeping up with the latest trends in makeup can take a lot of time and money. There are beauty products everywhere that seem to shout out our name. They are in magazines, on the television, in print media, the drugstore, and even online. It is a habit to want more, but really, when you look at the whole picture, do you really need that much makeup in the first place? These few tips will help you to satisfy your makeup craving and still help you to feel beautiful, and look stunning at the same time. Take an Inventory Check– Take a look at what makeup you have on hand, before you decide to buy any new stock. 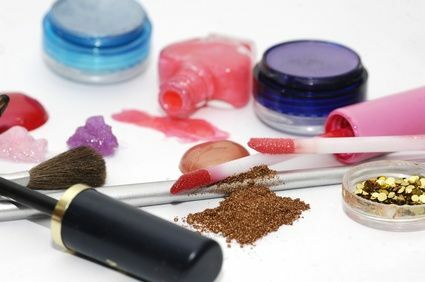 Discard any old makeup that has caked or dried up. Decide on which is applicable for business, pleasure, and party time. Choose the colors that suit your personality. Find great deals at the drug stores – people don't think of CVS, Walgreens and Rite Aid as places to find good deals on cosmetics, but with coupons and rewards programs, you can get cosmetics for rock-bottom prices or even some free makeup! Check out Amazon.com – I have several high-end brands that I prefer, and I can get them for much cheaper on Amazon than I can at my local salon or even Sephora! Choose Neutral Colors– Neutral colors are here to stay and regardless of the current trend, they are the basics for any makeup diva. These colors go well with either work or play, and is money that is well spent. Make sure that you make an investment on quality makeup in neutral colors as the basis for your makeup stash. Date Nights– Start off with the neutral makeup, foundation, and powder. Then add a little color, but do not over do it. You want to appear natural, therefore, choose makeup that suits your characteristics and your face shape. Remember that you want to appear natural and highlight what qualities you possess. Keeping up with the current trends will cost you a pretty penny, and trends come and go. Use your natural beauty and a little makeup to show yourself to the world. And remember, less is more. By using these tips, you will look stunning and save yourself some money on beauty product purchases as well. What are your best tips for saving on cosmetics?